For its third edition, the “Macif Paris Rollers Marathon” invites you to live a unique event. This prestigious event is much more than a sports meeting and a personal challenge. Indeed, The Macif Paris Rollers Marathon is a real roller party in the most beautiful city of the world. After BERLIN and its skating marathon, PARIS becomes “THE place to skate”. Creation of a half-marathon to make this challenge accessible to all! If you want to see your name on the winning list of the Paris Rollers Marathon, register now! 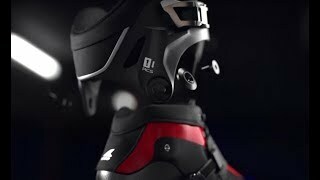 Rollerblade Endurace "Beyond Your Limits"